I have one of mine to start off with. 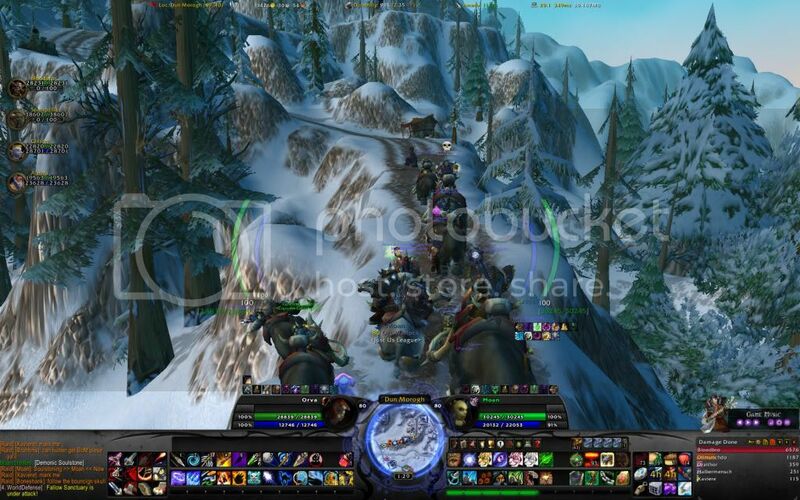 Edit: Found one I took a few days ago durring a nearly all mammoth mounted For the Horde raid. "It's not denial. I'm just very selective about the reality I accept." Last edited by Skyshot on Tue Feb 09, 2010 6:24 am, edited 1 time in total. Then to post it you use the urls with [img] codes you're given when you upload a pic to either site and post it. Or you just get the url of the picture by itself and add [img ]at the front and[ /img] (minus the spaces) on the end of the url. Here are some fun pics I've taken with Sersallia. The photo bucket that holds it all.... my screen shot folder. 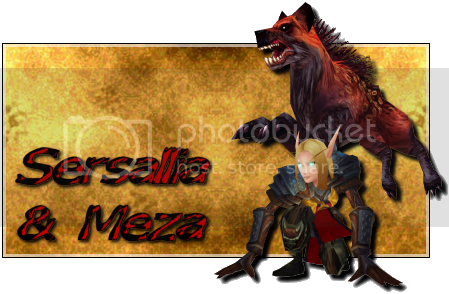 Many thanks to Vephriel for the amazing sig! Well, the Fan Art & Creative Writing forum is under Pets, but it does say it's the place for screenshots ... So I think it makes sense to move it over to where people can find it more easily. Edit: Those are some cool screen shots, Rarako. Here's my hunter enjoying a nice picnic. Never done this before...hope it works! I love doing screen shots in this area of the game. Have a great day everyone! Ooooh what a gorgeous shot, Rosie! Is your back to the access to Storm Peaks? One of my favorite pasttimes in WoW is to just run around exploring. I was out with my dk the other day (path of frost is very handy for running around the continent), and I came across this tower on the coast of Azshara. It sure is! I believe I was in the area near Crystalsong Forest...love it, love it, love it! 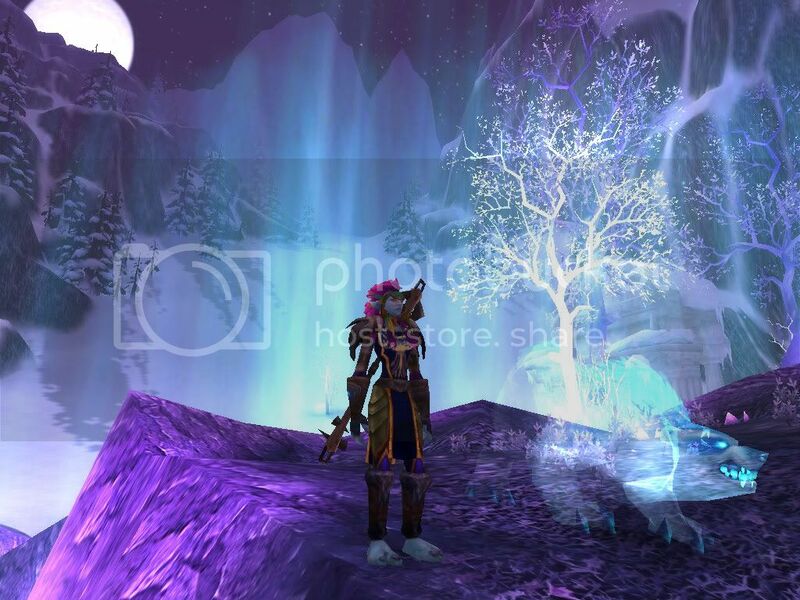 [quote="Jakkra"]One of my favorite pasttimes in WoW is to just run around exploring. 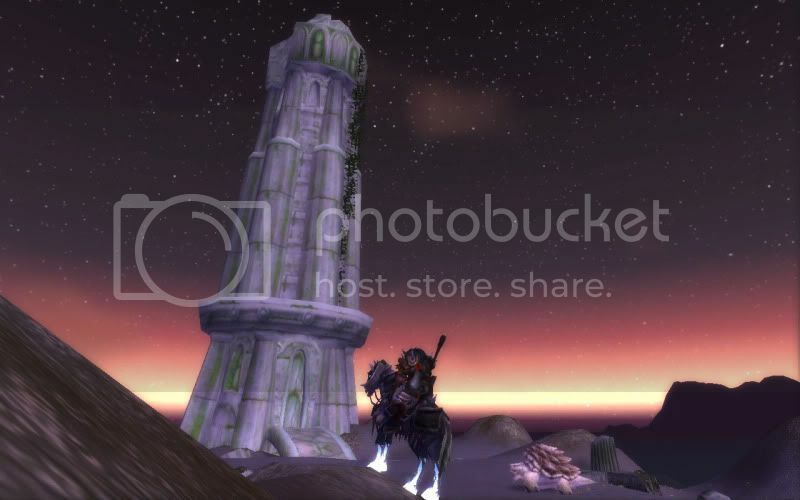 I was out with my dk the other day (path of frost is very handy for running around the continent), and I came across this tower on the coast of Azshara. Pretty picture! I love your avatar also...that is a great pic. [quote="Rarako"]Here are some fun pics I've taken with Sersallia. 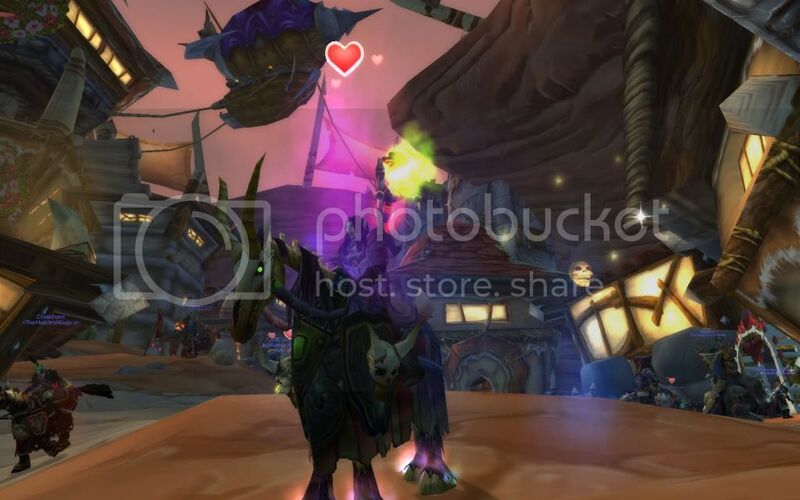 Was nice seeing all your screenshots on photobucket. I had never thought to use photobucket for backup. I would have sure hated to lose my shots. Great pics! Anyway, post some of your favorite screen shots.. Old or new, it doesn't matter. Just share your favorites. I sure love your game screen setup...so does my hubby. Did you use a certain addon. We saw it in the picture where you were going to raid Ironforge...oh and you were successful hehe! Edit: Oh and the little undead rocker fellow in the lower right corner is to the Epic Music Player. It's an in-game music player so you don't have to tab out each time you want a different playlist going. The only bad thing is if there's a lot of different sounds going at once (like in BGs, or big raids) the music stops until the sounds clear up a little. It's a bug they're trying to work out though. It's an addon called Spartan UI. Thank you for all the tips on that...I will have to check everything out. Really liked how it looked and sounds like it is functional as well. Thank you again! I had totally missed your little picnic...didn't see the link! Adorable! I'm one of those that enjoys being alone in the game! Looks so peaceful and fun!